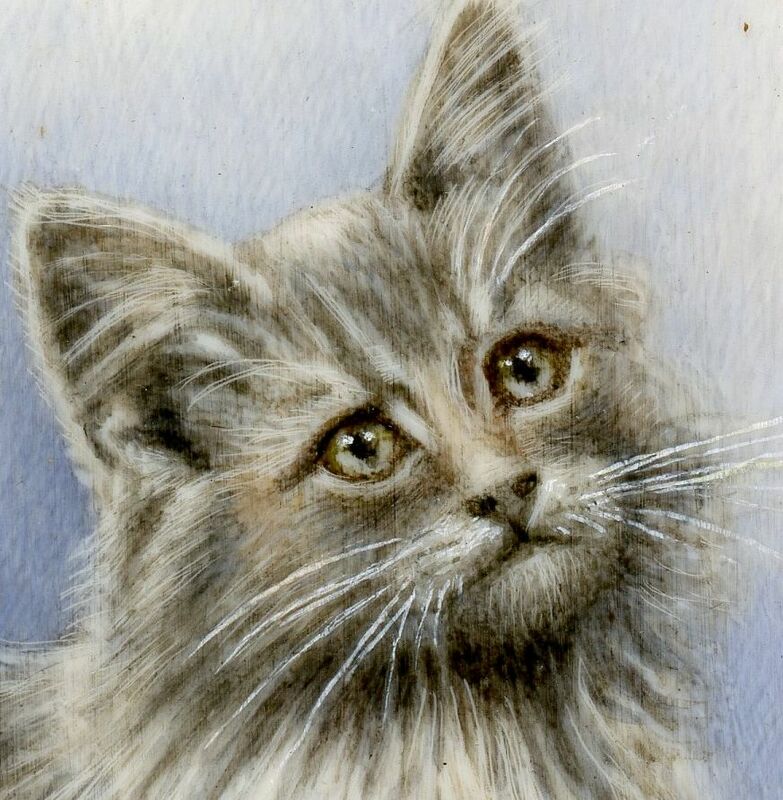 Home / Collections / Ding, Dong, Bell! 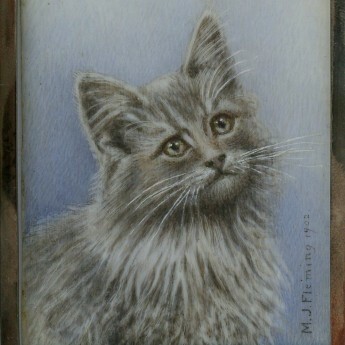 Miniature portraits of animals are always a delight and this one is no exception! 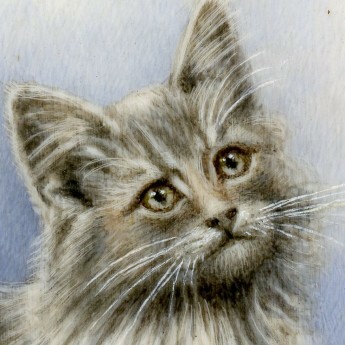 It features a long-haired grey tabby kitten looking very cute indeed! 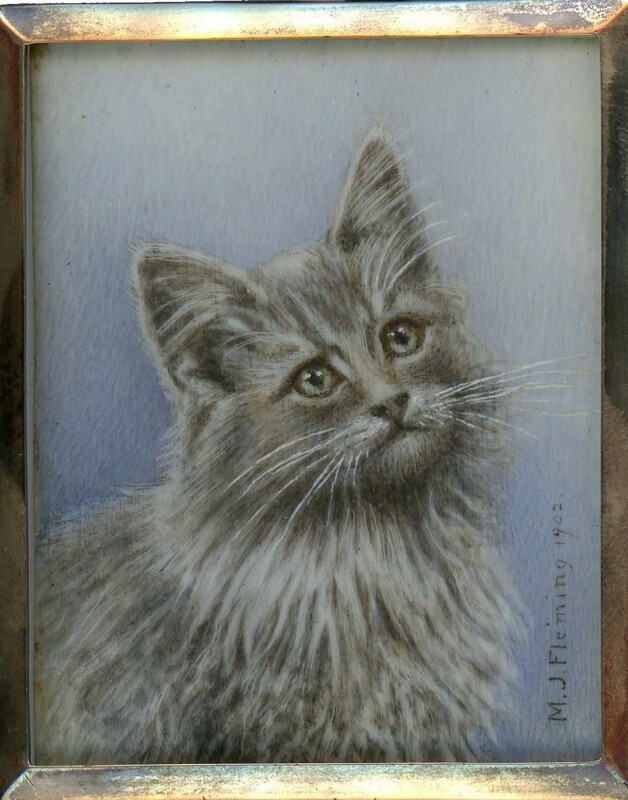 The painting is on ivory and is signed ‘M. 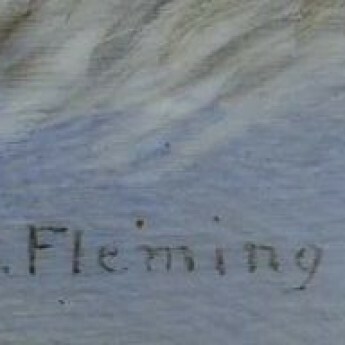 J. Fleming 1902’. 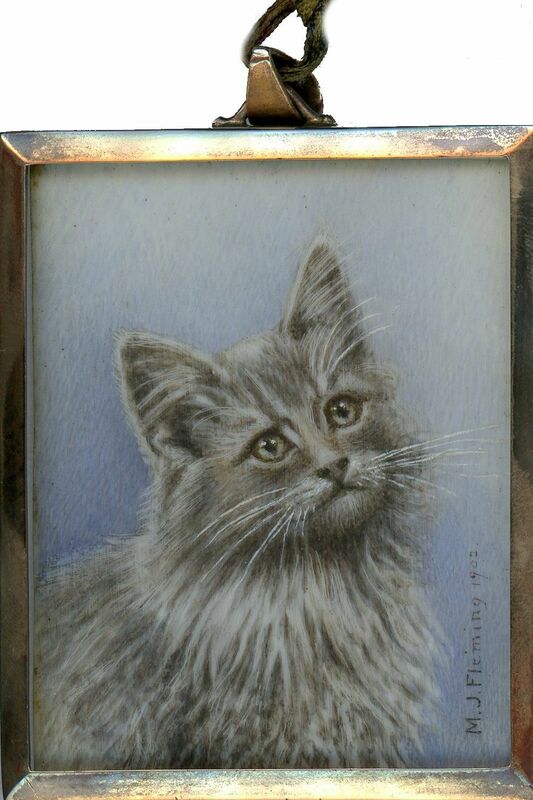 It is set in a gilt metal frame with a green silk backing.